As of the 2018–2019 academic year, the activities of the lab are carbon neutral under the United Nations Framework Convention on Climate Change Climate Neutral Now program. 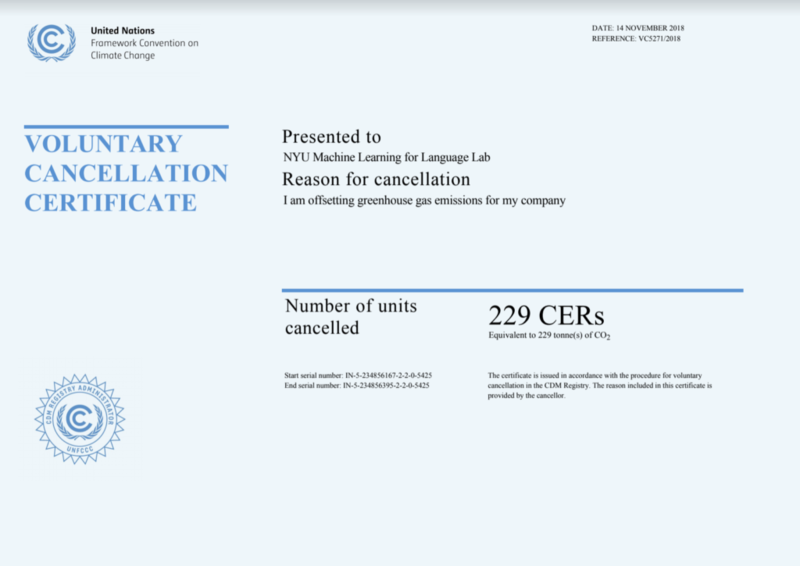 We estimate the carbon produced through lab activities—high-performance computing, travel, and group-funded meals—and offset them through certificates sold through Climate Neutral Now. Our estimate for 2018–2019 is 229 metric tonnes of CO2. Offsetting this as of November 2018 cost less than $200 USD, paid from discretionary lab funds. This represents a negligible fraction of the budget for a large lab, but represents an urgent moral obligation. We urge others to do the same.